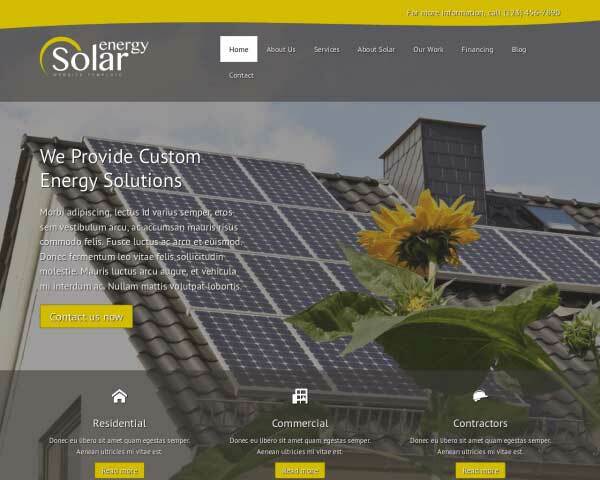 Even if you're new to WordPress, the Solar Energy WordPress theme makes it easy to get your solar remodeling company up and running in no time. Simply drag and drop the already stunning solar energy theme to perfection! Ideal for renewable experts who want to create a professional online presence, the Solar Energy WordPress Theme is designed to make it easy and affordable to build a beautiful website without any coding at all. Promote your solar energy services on preconfigured pages filled with placeholder content and ready for your own text and images. That's all it takes to get your complete website online! Have some fun customizing the look and feel of this website template using our visual front-end editor. Take a look at the demo site and imagine the possibilities. 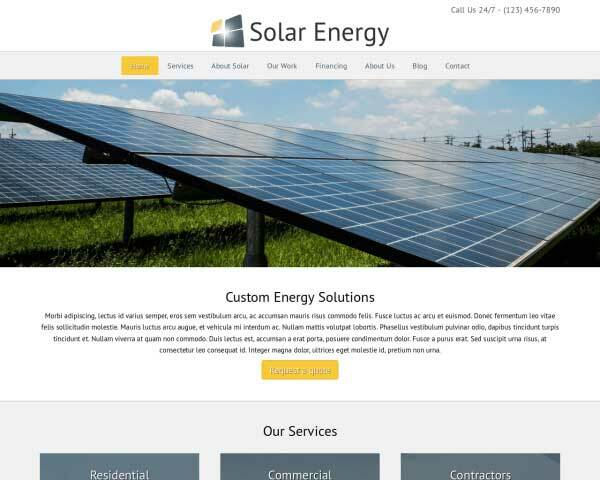 With the Solar Energy WordPress Theme, a professional, customized website is within your reach. The Solar Energy WordPress Theme would not be complete without a section for featured articles and updates about your business, which is why this theme comes with a WordPress blog. 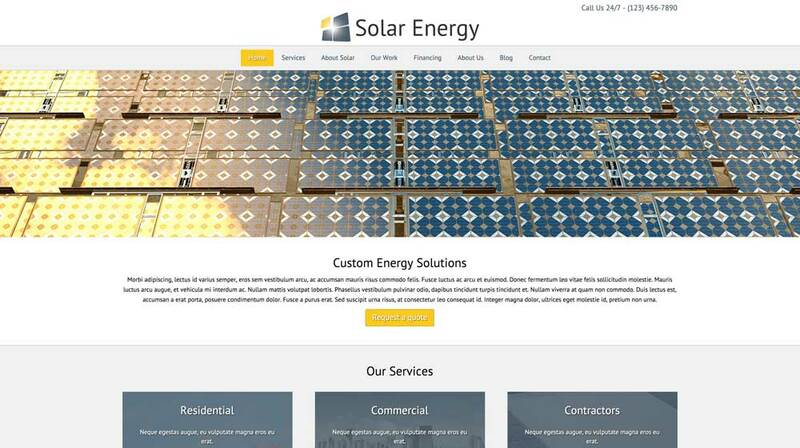 The Solar Energy WordPress Theme includes individual pages already set up for you to go into detail about each of the services your business has to offer to pique the interest of future clients. Prominent calls to actions on nearly every page of the Solar Energy WordPress Theme encourage visitors to get in touch with you online without making them search for the link. The contact page on this WordPress theme for renewable experts features an integrated Google map and a customizable contact form. Feature your best photos by adding an image gallery to any page on the Solar Energy WordPress Theme. Clicking on any thumbnail opens the photo in an elegant lightbox slideshow. 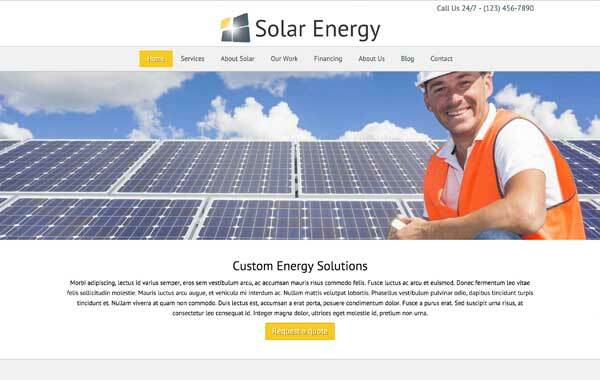 The Solar Energy WordPress Theme was built with the specific needs of renewable experts in mind in order to deliver the best match for your business website. Attractively display client feedback with the Solar Energy WordPress Theme's quote widget. Just paste in your own text and the quotes will be automatically styled with no coding required. 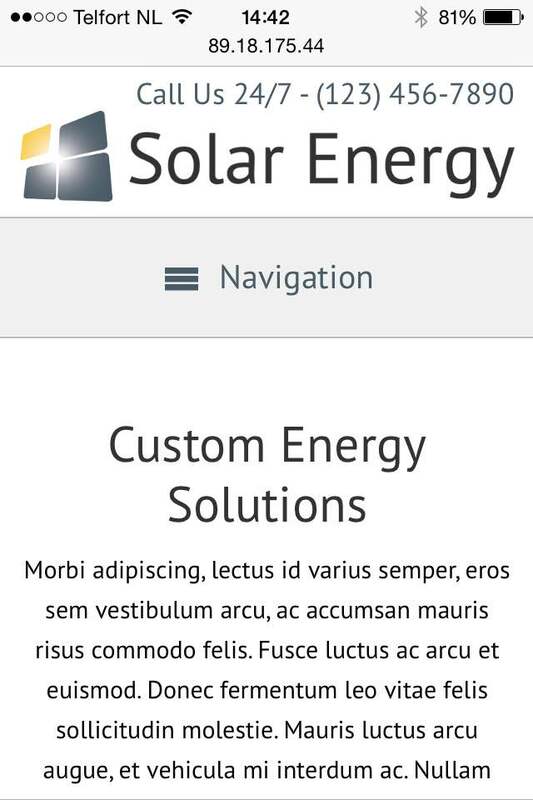 Looking for a simple way to get mobile visitors onto your solar energy and remodeling website? 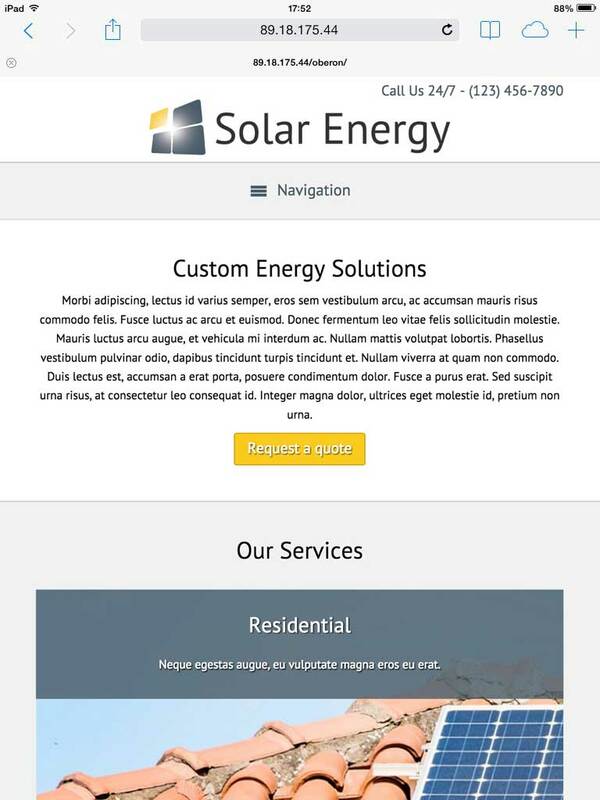 The Solar Energy WordPress template offers just the solution. With no extra coding or plugins, our mobile-optimized wordpress template automatically renders your pages for multiple screen sizes. In addition to the same user-friendliness that the desktop website offers, the mobile version offers convenient features such as big and easy to spot calls to action and navigation.